Full moon Pisces-Virgo, magic times! Welcome Dear Ones!Have a very happy and magic full moon! Our dreams can and will shift the Planet! Sun in Pisces shines into Virgo´s moon. Magic and ritual work together to activate our true power. Let´s all ask together and invoke the energies of Love, Compassion and magic here on Earth. DESIRE…ASK FOR IT…BELIEVE(it is possible and you deserve it)…RECEIVE. The Full Moon occurs on Monday, Feb. 25, 2013, as Venus conjuncts Neptune. Love, Union, imagination can easily elevate our vibration now. We are moving from Humans to Sacred Humans, from waiting to creating. We are raising the love and goodwill of the whole planet. We are awakening, acknowledging, realizing, we are powerful creators, and how Universe works with us. We are asked to use the power that Love activates within us. Ask yourself and meditate in this full moon: How am i “commanding” my own energy…? What we are getting is the result of how and what we are vibrating. Your attention directs your consciousness. Consciousness orchestrates its activity in response to both attention and intention. Whatever you put your attention on becomes energized. Whatever you take your attention away will dissolve. Intention is the key to transformation, as we have seen. Attention activates the energy field, and intention activates the information field, which causes transformation. This full moon , realize how is the relationship between , your Humanity and your Soul, your mind with your body, your personality and your higher self. We are all powerful creators, but unless we switch the light on inside we often focus our energy on things we do not wish to create and we create our unhappiness and experience a lower state of consciousness. As we know, this does not take place without positive thoughts and feelings. Moon´s in Virgo energy is helping us to go and feel inside. Inhabit your heart and gut center…always and now!The Full Moon in Pisces-Virgo offers a chance to fulfill a desire to serve, to heal. 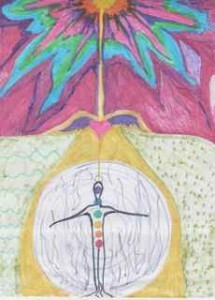 Our hearts are blessed with new energies, codes and Divine help, can you feel this inside? Give yourself the gift of spending time: Breathing… yes. You will be re-connected into your true nature of love and divinity, your true self, the Love, Light and Power you carry inside of you! It is the wise, loving, compassionate, powerful and radiant part of you that when fully liberated becomes a powerful force for healing and transformation in our world. But in order to truly BE the change, we must learn to live from our Heart, true self or essential self, our Soul, our Divine Presence. Never before has it been more important for each one of us to stay committed to our deep inner work and evolving ourselves – so we can evolve together our New Earth at this critical time. We can use our powerful tool, Intention, plus ritual, invoicing Divine help, and we need to own our unresolved energy-wound-conflict-etc. Then, conscious breathing and the Sacred and Magnificent Violet Flame. This TotalSoulGym Experience includes everything to live a sacred day-to-day life. Let’s exercise with some TotalSoulGym! Ask for a column of loving Light, now and everyday, to nurture yourself . To activate your Body of Light. Visualize it if you can, feel it. Activate, invoke your Divine Presence within your body. Breathe… be there, present, receive, info, Light and Divine Love to heal now. Awake. Open your mind and your heart, name your unresolved energy, feel , own your wound, decree your intention of receiving the perfect healing codes just for you. Affirm your Intention of healing and expressing your true self. Now breathe in and breathe out, letting go energies that no longer work for you. Receive everything you feel, embrace everything in your heart, receive this info your body is giving to you. Just feeling, accepting how and what you feel will transform you. Don’t stop using the breathing to release and open more space inside. Land there, this is your true base in your Heart. Feel the Oneness… join the divine love, unite with Earth and Heaven in your heart. Breathe.This is what assists you in finding a greater balance for yourself in your life. So if you are feeling physical reactions, consciously open up your energy body even further with this it flows through you with a much greater ease. Sometimes in your everyday life when you are having physical symptoms it is because you need to re-connect and grow more love for yourself inside. These energies are pouring into the Earth and you have access to them as much or as little as you choose. This full moon is about feeling that there is a perfect order, that everything is responding to an invisible and perfect plan. Try it, land in your Soul, breath it, feel perfection in everything, it is possible. It is time to use self-suggestion, positive affirmations that influence your mind. They’re powerful when they are applied. The natural power of your heart center can heal you, protect you, and guide you to this brand new planetary moment, never experienced before. Feeling into the stillness. Breathing in solitude. Letting go. Letting go again. Wondering who you are now. What’s required is trusting, opening, attracting, allowing, softening, intuiting, listening, quieting, feeling, loving, and learning to embrace freedom, pleasure and the joy of life. This is our new paradigm. Your Divine Presence is here, within you and will awaken as you wish it to… to enlighten your world here. You can try my Chakra Healing Gym sessions. Working with your Chakras is an excellent way to link the psyche with the body to identify your emotional issues, fears, beliefs, behavioral patterns and your emotional health and wellbeing. Working with your Chakras will definitely accelerate your psychospiritual growth and emotional healing. Previous post: Full moon Aquarius-Leo.Time to fall in love with yourself! Next post: Equinox and Aries energy inspiring the new way!